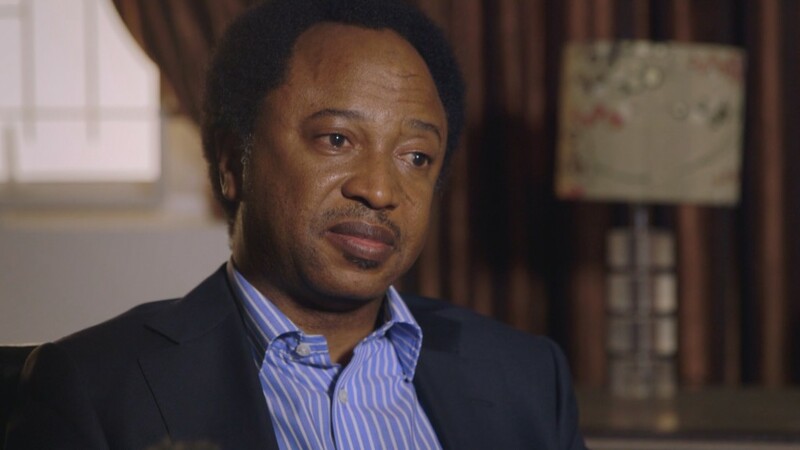 Shehu Sani is the president of the Civil Rights Congress, a coalition of roughly 37 human-rights groups in Nigeria. Imprisoned in Nigeria as a political dissident under a previous military regime, Sani was released in 1999, and now serves on several Nigerian human-rights committees. He is also a longtime human-rights investigator, and has been gathering reports on missing people in the northeastern part of the country for at least five years. Sani recently announced that he will run for a Senate seat on the opposition party ticket in 2015. He spoke to FRONTLINE in June about Boko Haram’s relatively peaceful origins, why the group turned to violence — and why it’s been so difficult for the Nigerian government to contain the threat. First of all, to fight an insurgency you need to carry the people along. And you cannot carry the people along if you collectively punish them because of the insurgents. What has been going on in the last two to three years in northern Nigeria has been a policy prosecuted by the army under the directive of the government to collectively punish people on suspicion of either aiding or abetting or having any form of relationship with the insurgents. For example, most of the calls we have been [receiving] in the last three to four years has to do with issues that includes arbitrary arrests, prolonged detention of persons, illegal searching of houses, raiding of homes and sometimes collectively punishing people in neighborhoods where either bombs were exploded or there were gunshots. Now, this is the kind of complaints we receive every day. Every day, and it has seriously and negatively impacted on the war against the insurgents. When you have a bomb explode in a neighborhood, what the military does is cordon off the whole neighborhood, bring [all] the people around that neighborhood out and punish them for that bomb that was exploded. We have wives coming in to tell us that their own husbands have disappeared. We have fathers who tell us that their own children have been picked up. We have parents coming to complain how their houses have been raided. We also have landlords who come to tell us that their houses were demolished because an insurgent or someone suspected to be an insurgent was renting part of the flat. We also have cases where some schools, mosques and many homes were demolished on suspicion. The choice between the rock and hard place is a choice of which one to cooperate with. … If anyone chose to cooperate with the military or security forces, he finds himself at the mercy of the insurgents. If you cooperate with the insurgents, you find yourself at the mercy of the security forces. It has reached a point where people couldn’t even define and clearly draw a line between the wanton violence and evil unleashed by the insurgents and the act of brutality committed by security forces. The insurgents operate as guerillas. They attack military posts, kill police and government officials, engage in acts of sabotage, burn down schools, and when they are pursued they dissolve into the public. So we have a military that is finding it difficult to fight this kind of war because as a country we have never experienced [it]. We had a civil war, but we have never experienced fighting this kind of movement. The Nigerian army is one of the best in Africa, they have performed incredibly well in peacekeeping missions in West and Central Africa, but this war has clearly exposed the limitations of that force. And coupled with the very fact that corruption within the political establishment … had clearly undermined funding for that institution, as a result also you can see what’s on the ground. We have an army that’s ill equipped and ill trained — not because Nigeria doesn’t have the resources to do that, but because some person stole the money. So we have a country with a very fat defense budget, but an ill-equipped and ill-trained army which clearly shows the insurgency has become an excuse for thieves in government to simply enrich themselves in the name of fighting such insurgency. Well in the last two to three years, 25 percent of Nigeria’s national budget was allocated to defense and security. Yes, of course, something within that range, and revelations coming from the military authorities that money is simply on paper; it has never reached them. 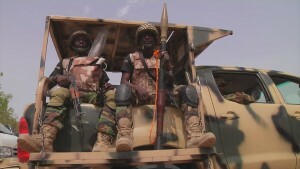 The idea of a militia came up after a lot of criticisms against the action of Nigerian security forces in Bama and Baga. They razed the whole village. And what the military and government did was simply to create a force which would not be accountable or held responsible. These are young men that have the knowledge of all the nook and crannies of Northeastern Nigeria. And they can reach out and arrest and also crush any insurgents they can lay their hands on. But the consequences of that have to do with the fact that atrocities now are committed without anybody being held responsible. And the second aspect … is that you will later have to also fight the militia. The militia are becoming a state within a state. They are young men that are backed up by the state, and they use that as a license to do whatever they feel like doing and justify it on the ground that they are doing it to crush the insurgents and the insurgency. From my own knowledge, the insurgents are not as foolish for them to be in their homes for a militia to reach them, so most likely, the safest way for young people not to be thought of as insurgents is for them to join the militia. And young men who refuse to be part of this militia stand the risk of being accused of being insurgents. Well, in the last three to four years, we have heard of disappearances, there are families that have not seen their loved ones. … If we go to the military in search of a detainee, the military will tell us that he or she is not with them, he may be with the police. And if you go to the police in search of a detainee, the police will tell us that he’s not with them, he’s probably with the secret intelligence. If we go to SI, looking for a detainee, they will tell us he’s not with them, he’s probably in the civil prisons. If we go to the civil prisons and we don’t see him, that ends the whole thing. No one, not even the state, country, government as a whole, have a comprehensive list of people who have disappeared or people who are in detention. We have lists of names of persons who have been out of circulation for the past two to three years and whose whereabouts remain unknown, and these people are in the hundreds. So far the security forces and government prefer to keep them without bringing them to court. When you see a Boko Haram member in court, perhaps it’s a celebrated case. He couldn’t be hidden by the government. Now the government feels obliged that such a person should be taken to the public for the public to see who it is and he is tried. … But all and all, the hundreds of people that have been kept in detention have not been brought before a court of law. We are living in war-like atmosphere, and people are not easily convinced to protest for the very fact that they will be labeled as insurgents. Even the Bring Back Our Girls protest campaign that is going on now for the kidnapped Chibok girls — it started outside of Nigeria and then activists within the country found it necessary to lead it. But I have been speaking alone in pointing out the dangers we have been facing and what we stand to lose if we allow this cat to become a tiger. The military cannot find them for a number of reasons, one is the very fact that the government has been slow to action and take the abduction very seriously. Abductions have been going on in the last three to four years. … The military couldn’t find them because they don’t have enough equipment and training to be able to confront these kind of insurgents. There was a time in which one of the state governors in the northeast made it very clear that the insurgents are better armed than the Nigerian military. Nigeria is a very rich country. We can afford to buy drones, we can afford to buy fighter jets, we can afford to buy the most sophisticated and state-of-the-art military equipment in the world. But we have a patently corrupt and inept and docile and parasitic political elite whose preoccupation is simply being in power and simply looting the treasury of the country. Corruption has clearly undermined the ability, capacity of military to be able to prosecute this war against insurgents and find the girls. Yeah, you can say directly and indirectly it helps in sustaining the insurgency. … The insurgents depend on getting more people to their fold to be able to perpetrate their violence. And to get more people to join them they target the disillusioned, the marginalized and those that have grievances of the state. Now among those that have grievances were those who had suffered at the hands of security forces or those whose parents were killed by security forces. … But there are [also] other factors, economic factors and financial inducement by the group. In the northern part of Nigeria we have many Islamic sects, [one of which is] the Boko Haram sect. Boko Haram is the newest of all sects and is a breakaway sect from the Sunni sect. Their idea is to establish an Islamic state in Nigeria by force. And nobody, not the constitution of the Federal Republic of Nigeria denies you the right to wish for a country, whatever you want to wish for. But you cross the line when you kill people, bomb schools, and pursue it through violence and terror. This Boko Haram idea was an idea of two people, Muhammad Ali and Mohammed Yusuf, both of them killed, one in 2004, one in 2009. The hope to start a radical Islamic movement that will indoctrinate people and one day establish an Islamic state. Their inspiration is the Taliban of Pakistan. They think like the Taliban. They act like the Taliban. They kill polio workers like the Taliban. They burn schools like the Taliban. They kill public officials and attack military and police locations like the Taliban. So they see themselves as the Taliban of Nigeria, this will give you an idea of what we have at hand. In 2004, there was a confrontation between members of the group and security forces, but it was crushed. And then they went underground and returned into a normal movement. Mohammed Yusuf was preaching, moving around and getting disciples. He set up a mosque in Maiduguri. The  killing of Mohammed Yusuf was a result of a security traffic incident. And as a result, the subsequent killing of hundreds of members of the group [after] a simple traffic conflict between the group and the police became the ignition that spiraled into the violence and bloodshed that we have been suffering the last three to four years. So we had a movement that was peaceful and that was crushed by the Nigerian army, Nigerian police, and later they went underground and became more monstrous. Well, this I believe is a phase in our history. … One thing is very clear this is a cancer we will continue to live with until we have a solution to it. Boko Haram as a violent group cannot overrun all of Nigeria. And Nigeria cannot easily crush Boko Haram. The way Boko Haram will come to an end is when the Nigerian government and Nigerian state decide what they want to do with its own future. Right now the insurgency threatens the unity, stability, democracy and our own freedom. So the fate of Nigeria is directly attached to the fate of what becomes of the Boko Haram insurgency. What we should understand clearly is that crushing the insurgency and bringing an end to violence itself does not mean that there may not be in the future another insurgency coming up. Because we have had an insurgency of this kind, but not of this magnitude in early ’80s, it came from that part of the country. The insurgency is the challenge of our own area, but it shouldn’t become the fate of the nation. I think part of Boko Haram’s agenda is trying to trigger religious violence that will force Muslims to see it as their own fight. That is why they attack churches — the aim is to trigger Christians to attack Muslims. But I think now many Christian leaders in the south who have seen the devastation and killings have somehow been able to send a message that this insurgency is not a collective will of Muslims. I think it’s simply about brainwashing and indoctrination. And then you can later bring in the economic aspect of it. Because in northwest and north central and even southern Nigeria you have people who are poor, who are impoverished and have no sense of reason to keep up, pick up arms and start killing people. It’s a place where you have a mixture of poverty, destitution, marginalization, with also religious extremism now getting a foothold and flourishing in that part of the country. And [Boko Haram] has been able to get into the young minds of people who perhaps see it as away of [venting] their anger to a society that has impoverished and marginalized them. As a citizen and civil-rights activist, I mooted the idea of negotiation and dialogue when it was evidently clear to me and many Nigerians that the use of force had been unable to crush the insurgency. So what I did was to reach out to the insurgent group and reach out to the government, and offer to open a window of dialogue. After a period of communication I got the two sides to agree, and President Olusegun Obasanjo, who was then the chairman of the ruling party, represented the government in the talks. 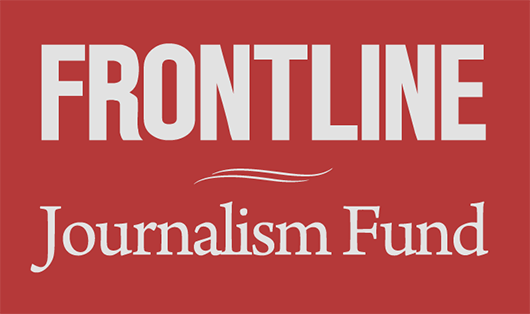 We sat down with insurgents in Maiduguri and there were talks that took place there. The insurgents insisted that we shouldn’t have government officials, not have security forces there, journalists. There should be no cameras and no minutes of the meeting. We sat down and we talked. They presented their own grievances, which had to do with the extrajudicial killing of their members, the destruction of their mosques, their schools, and their homes by security agents. And they also expressed anger [about how] nobody takes persecution against them as a crime, and it’s only when they decide to retaliate that it’s considered a crime. We extracted a commitment from them that if we are able to convince the government to address these grievances, they were also prepared to lay down their guns. But we were disappointed by the government when they felt they shouldn’t address these issues and rather they should use force to crush the insurgents. … I think that failure, the inability of government to take the opportunity to address the problem through dialogue led us to where we are today. Violence taking hold and the use of force to crush the group has not had the desired results. The grievances are legitimate, but the actions are not legitimate. You can have grievances; we all have grievances as citizens. I was once a political prisoner that was jailed for life. Nobody has compensated me and nobody has apologized to me for being in jail. And that is no excuse for me to start killing people. I believe that the killing of their leader and extrajudicial killing of their members was very wrong and should be condemned. And that’s a legitimate grievance. But the actions that were taken, that followed that, were in disproportionate to the violence.